As we have done over the last few years, the Scout Group will be lending a hand in the villages annual spring clean, which this year coincides with the national campaign to “clean for the Queen” to get the country spick n span in time for her 90th Birthday. We have had great support for this over the last few years and hope to see many pairs of hands again this year. >> Read "Village Spring Clean – Sat 5th March"
Christmas Post – Thank You!! We wanted to say a big Thank You for all who helped with the 2015 Christmas Post. All cards were delivered successfully and we also managed to raise a great total of £147.75 towards the necessary work to the HQ. >> Read "Christmas Post – Thank You!!" This years’ service will be held on Sunday 8th November at St. Michael & All Angels Church in Marden. Marden Cubs need you . . .
Our Cub Scout Leader, Matt Causer, has decided to step down from his role at the end of this year. Over the last 9 years he and his assistants have ensured that Cubs have enjoyed a varied, challenging & fun experience with highlights including Shelter building, pond dipping, Chinese cooking, kayaking, wide games, Camps and Water Fun Days. With Matt’s imminent departure it is important that we now find additional volunteers to ensure Marden are still able to provide Cub Scouting for the young people in the area. Volunteers need not necessarily know how to tie a reef knot or put up a tent as enthusiasm goes a long way. Joining our team may sound like a big commitment to already busy lives but we encourage flexible volunteering and, like all things, many hands make light work. • Being able to encourage a young person to achieve their best is a valuable skill. Giving them self-confidence to achieve is a gift for life. All it takes are a few words and actions – Can you do that? • Providing the direction to make a young person see the way forward, encouraging them to find the answer and discovering a solution through doing – Can you do that? • Scouting provides young people with opportunities to develop their lives into a positive outlook for tomorrow – Can you help guide them? • Helping them to grow into happy, confident, respected young people is a life changing experience – Can you make a young person smile? If you or someone you know would be interested in finding out more about joining our team please contact me. 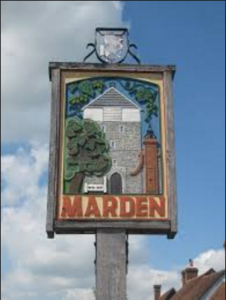 >> Read "Marden Cubs need you . . ."
Our Cub Scout Leader, Matt Causer (Akela), has decided to step down from his role at the end of this year. Over the last 9 years that he has led the Pack he and his assistants have ensured that all Cubs have enjoyed a varied, challenging and fun experience. Shelter building, pond dipping, Chinese cooking, kayaking, wide games, Camps and water fun days are just some of the typical highlights for the Cubs. On behalf of Marden Scout Group I would like to thank Matt for giving so many young people so many great experiences along with many, many hours of fantastic fun. >> Read "Many, many thanks Akela!" We would like to say a massive THANK YOU to anyone who popped their Waitrose green token into our box in the Paddock Wood store – we are being given £250!! >> Read "Waitrose Vouchers – A Big Thank You"
A huge thank you to everyone who came along to our Family Games Night and AGM last term. It was great to see so many of you there supporting us and hope to see you all again soon. >> Read "Family Games Night and AGM – Thank You"
Hope you’ve all had a wonderful Summer. 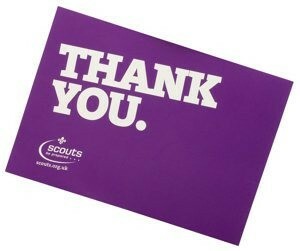 Just a brief note to say that Scouts starts up again Friday week (11th Sept) at the regular time of 19:30. >> Read "Scouts Autumn Term"
Just a quick note to say that Cubs starts back on Wednesday 9th September, 6:25 for 6:30 start. >> Read "Cubs Autumn Term"
Design our brand new Group badge!! We are offering you the fantastic opportunity to play a part in the design of our brand new Group badge, to be worn on the scarf of everyone in the Group. Attached are details of how to enter but the deadline of 24th April has now been extended for a couple of weeks and is now 7th May. >> Read "Design our brand new Group badge!!"